6 July 2005 -- Raisonance announces immediate availability a new toolchain for the ST7 family from STMicroelectronics. In addition, Raisonance offers a new ST7 Starter Kit (ST7LITE-SK). This Starter Kit includes a REva mother Board a serial protocol dongle (RLink) and three Daughter boards allowing to make In-Circuit Programming and In-Circuit Debugging on the user board via the USB connection. STMicroelectronics (STM), a leader in 8-bit microcontrollers, today announced availability of a low-cost development tool for the ST7Lite 8-bit microcontroller family, which is widely used in cost-sensitive applications such as lighting systems, home appliances, alarms, and air conditioning. 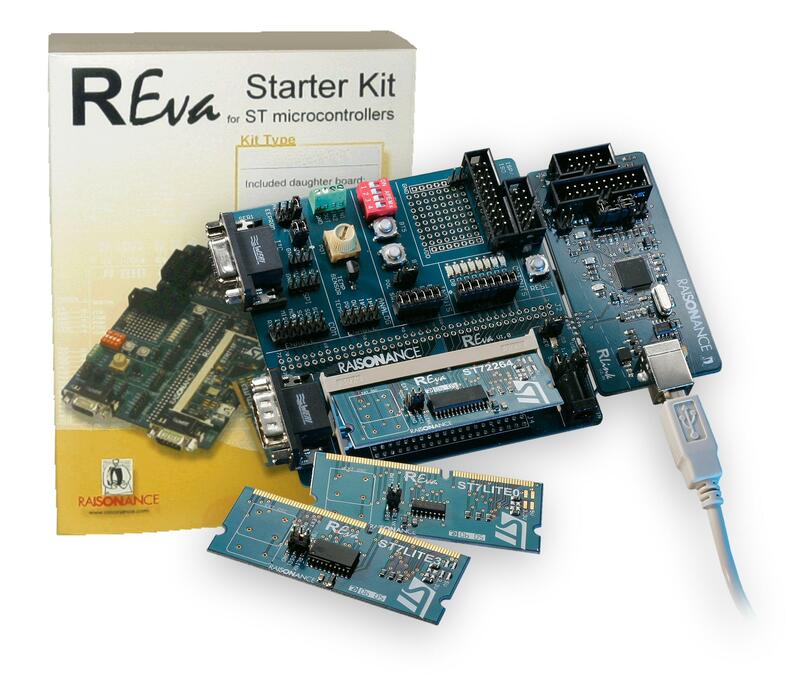 The new ST7FLITE-SK/RAIS development kit is part of the REva series from the microcontroller support company Raisonance, and is available with a suggested resale price of just $149.00. The release marks the beginning of a whole new generation of compatible tools for most of ST's microcontroller products, including ST7, uPSD, and ARM-based MCUs.